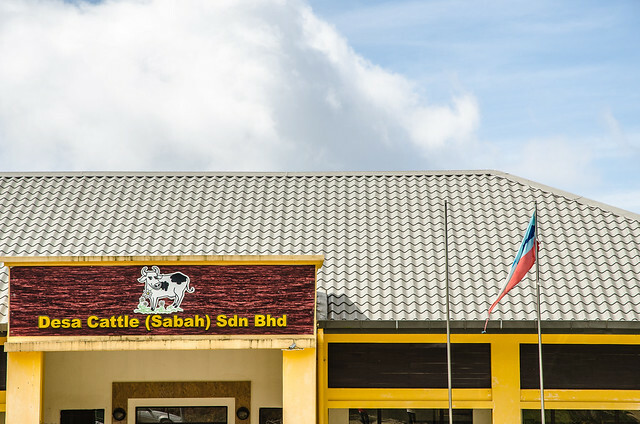 After a cold, shivering and exciting night at Kinabalu Pine Resort, we checked out and went to Desa Cattle Dairy Farm to play with cows and goats. 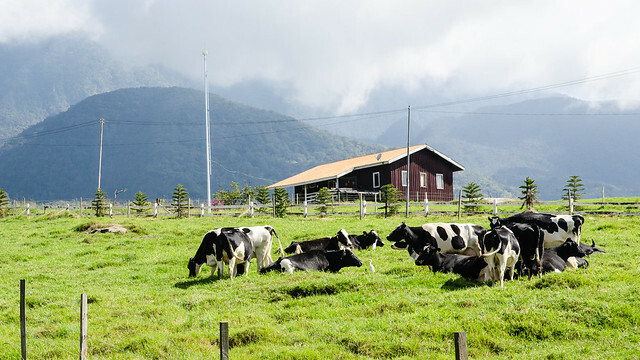 Desa Cattle Dairy Farm is located at the foothills of Mount Kinabalu in Kundasang and took only around 15 minutes from Kinabalu Pine Resort. When we reached, we saw this full view of Mount Kinabalu with clear sky. 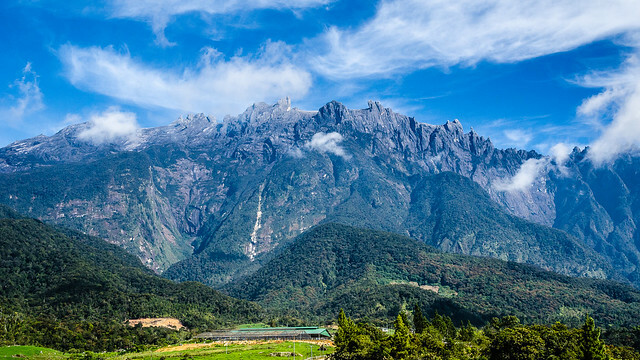 The mighty Mount Kinabalu. According to locals, Mount Kinabalu normally will be covered by cloud in the afternoon so the best time to shoot photo is in the morning. 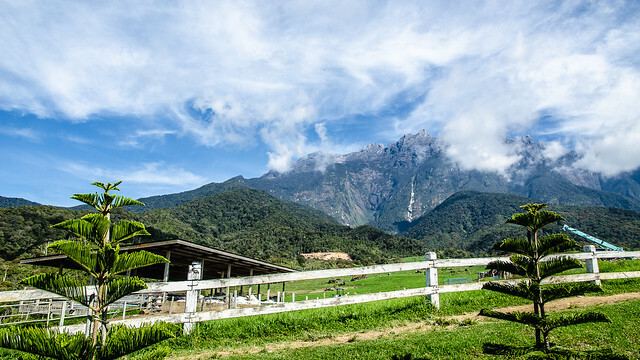 We reached Desa Cattle Dairy Farm and saw the cloud started to cover the Mount Kinabalu. Please follow this way if you want to see calf or young goat. On the way to see calves and young goats, we saw this group of cattle munching on green grass. We mooed, jumped and waved but none of them seems interested with us. 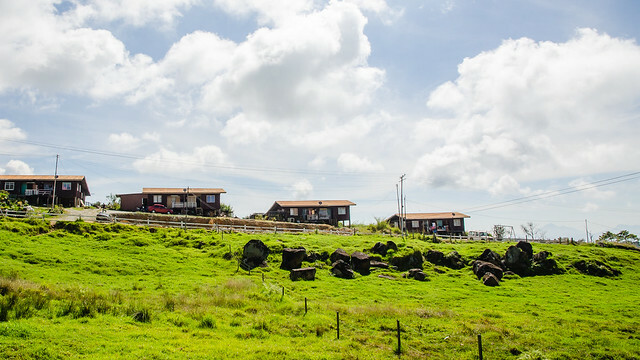 Imagine waking up everyday to the sea of green grass. The grass field is very wide but there are not many cow or cattle or goat. After walked for 5 minutes, we reached the calf and young goat’s house. Can you see her shiny eye? She is trying to seduce you to buy her a bottle of milk. Since we cannot take the cuteness anymore we bought a bottle of milk for her. See how fast she drank the milk in the video below? The young goat drinking milk non-stop, must be very hungry or the milk tasted really nice. 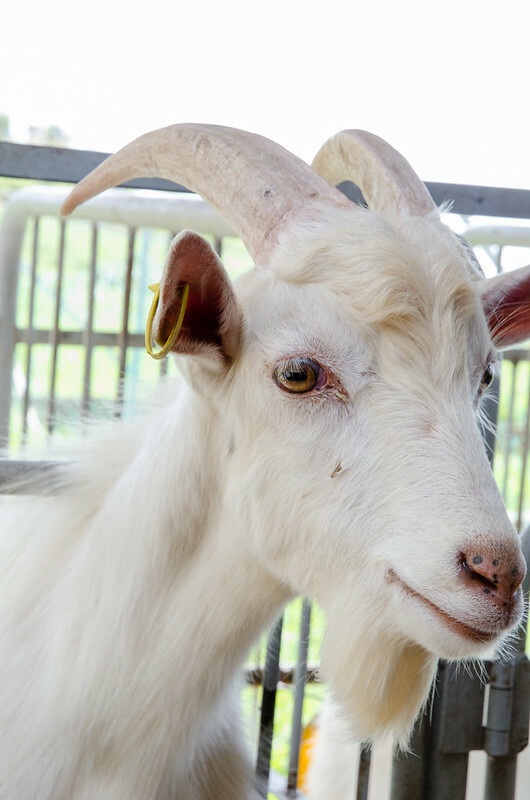 An older goat with horns and beard. You can touch him and pull his beard but not sure if he will bite. You can also buy a bottle of milk for him and we did as the video below. But so big boy already still want to drink milk? 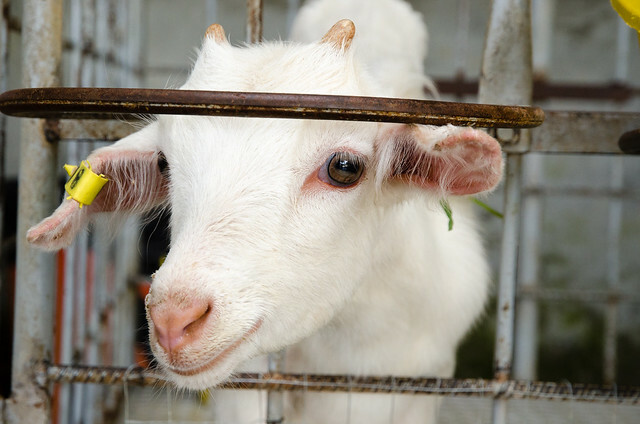 Watch how the other goats using their leg to ask for the milk. Hungry or tasty milk? We never find out. Saw this milk delivery lorry. 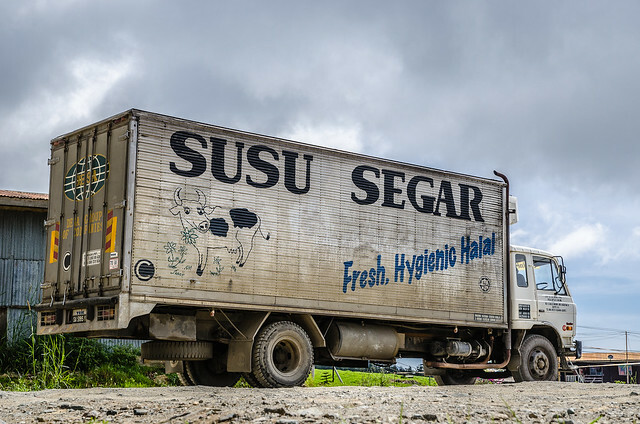 Susu segar, translated as fresh milk. 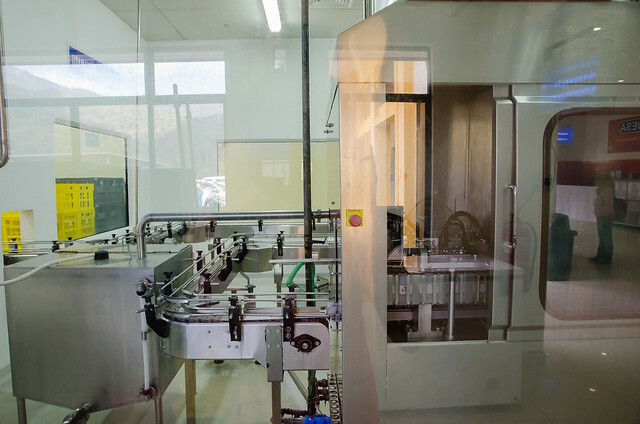 The office building where you can buy food, beverage, watch the milk processing and also visit the toilet. We only bought ice cream which is made from the fresh milk produced by the cattle here. 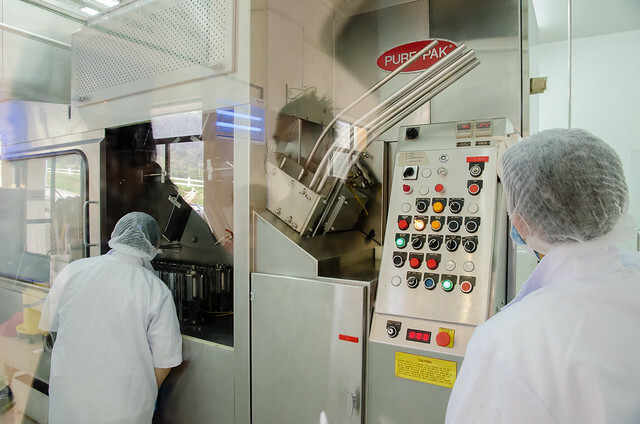 The milk processing started but we didn’t stay long to watch it as we need to move to next destination. Too bad, maybe we can get to sample some of the milk. 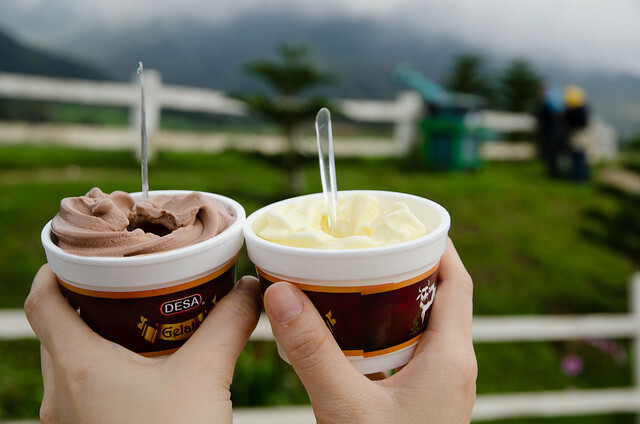 We bought this nice ice cream made with fresh milk from Desa Cattle Dairy Farm. They sell chocolate, vanilla, durian and other flavours I don’t remember. Very nice eating ice cream in cold weather. We can see a lot of construction around the Desa Cattle Dairy Farm area. Perhaps they are building more tourists attraction. If you have reached Kundasang, it is a worthy place to visit. Are you all open farm for visit during Chinese New Year 2016 ? Any entrance fee ? You may contact them directly as I’m just one of the happy visitors. Thanks and enjoy your Sabah trip. may i know what had been done by Desa Cattle Dairy Farm for their corporate social responsibilities? Is it difficult to drive to Desa farm ? Road reaching there is pretty steep.